There are several creatures and monsters in Minecraft, called Mobs. There are currently 31 Mobs in Minecraft, not including the player. There are different categories of Minecraft mobs, including passive, neutral, tamable, hostile, utility, bosses, and unused. Passive mobs do not attack the player, even when provoked. Farm animals, such as pigs and chickens, can be bred for resources. Chicken: Chickens provide feathers, raw chicken or cooked chicken (when killed by fire), and eggs. Chickens can be bred by throwing eggs or by feeding seeds to adult chickens. Cow: Cows provide leather, beef, and milk. Farming cows provides an unending supply of these resources. Give cows wheat and they will breed. Calves can be milked, but if killed, they will not drop any items. Ocelot: Ocelots are tamable, and once tamed, turn into cats. Creepers (a hostile mob) are afraid of both ocelots and cats, making them a great defense. You can position ocelots and cats around key perimeters, entrances, or other areas to protect against attack. Pig: Pigs typically move in groups of 3 or 4, but larger groups can occur when the pigs combine groups. When killed, pigs drop raw pork chops. If pigs are killed by fire, they will drop cooked pork chops. Pigs can be used as transport if the player puts a saddle on them. The pig can be controlled with a carrot or a carrot on a stick. Pigs can bred with carrots (on the PC) or wheat (on the Xbox). If struck by lightning, pigs will turn into zombie pigmen. Sheep: Wool can be obtained from sheep by shearing or killing them. Shearing provides 1-3 wool, where killing them provides 1 wool. The wool can be dyed, but the sheep can be dyed before shearing. When they regrow their wool, it will be the previously dyed color, which makes it more efficient than using rare dyes. Sheep regain their wool by eating grass. Horse: Horses are tamable and can be used as transport once a saddle have been placed on them. Horses only spawn on plains. Donkeys and horses may be bred to produce mules. Mules and donkeys can carry chests stored with items. There are normal horses, donkeys, mules, skeleton horses, and zombie horses. Horses will bred when fed golden apples or golden carrots. Squid: Squid are found in water. When killed, squid provide 1-3 ink sacs, which can be used for black dye. Items that can be dyed include: wool, leather, armor, hardened clad, sheep, or dog’s collar. Ink sacs can also be used with a book and feather to produce a book and quill. Bone meal can be used to change the black shade to a lighter gray shade. Squid cannot be bred, but they will spawn automatically. Bat: Bats spawn in caves and other enclosures, such as a large, dark house, and cannot be bred. Bats do not drop any items when killed. The presence of bats typically indicates that there may be a cave nearby, which may be useful for gathering resources. Bats use echolocation to sense things around them and will be able to sense the player even when invisible. Mooshroom: Mooshrooms spawn in mushroom biomes only. They are cows with mushroom growths on their back. The mushrooms can be sheared and then the mooshroom will turn into a normal cow. Once changed into a normal cow, they cannot be reverted to a mooshroom. Mooshrooms can be milked with a bucket or a bowl. When milked with a bowl, the player will receive mushroom stew. Milking stew can provide an endless source of food, which is a great resource during survival mode. If killed, the mooshrooms provide leather and raw beef. If killed with fire, they will drop steak. To breed the mooshrooms, feed them wheat. Villager: Villagers spawn in and around a village. Depending on the role of the villager, they will spawn in the appropriate building. There are six professions with different colored clothing that are: Farmer (brown robe), Librarian (white robe), Priest (purple robe), Blacksmith (black apron), Butcher (white apron), and Generic Villager (green robe). Villagers will mate after houses have been built. Villagers will continue mating until the adult village population is 35% of the number of doors found in the village. The player can trade with villagers, trading emeralds for items and vice versa. Villagers offer items according to their profession. Right-click on a villager to trade. Press the left and right buttons to view different offers. Villagers will also react to how the player treats them, either liking you or disliking you. If a significant number of villagers dislike you, the golems will attack. Zombie villagers can infect other villagers. They can be cured with a splash potion of Weakness, then fed a golden apple, and waiting for the cure to take effect. Once cured, the villager resumes his or her former profession. Neutral mobs do not attack the player unless they are provoked. Enderman: Endermen are humanoid mobs that live in The End, which is an empty plane with a single island consisting of the end stone and decorated with obsidian pillars. Endermen will spawn in the Overworld provided there is a light level of 7 or less. They can pick up blocks, teleport, and are vulnerable to water. Endermen may attack when provoked or if the player even looks at an Enderman. Then they will emit long, creepy noises and shake with rage. Players may look at the lower legs of an Enderman, but no higher. In Creative mode, looking at an Enderman will not provoke it. Endermen are one of the most dangerous mobs as they use teleportation, have a high health bar, cause a great deal of damage, and are impervious to projectile attacks. Their weaknesses are rain, water, sunlight, and fire. 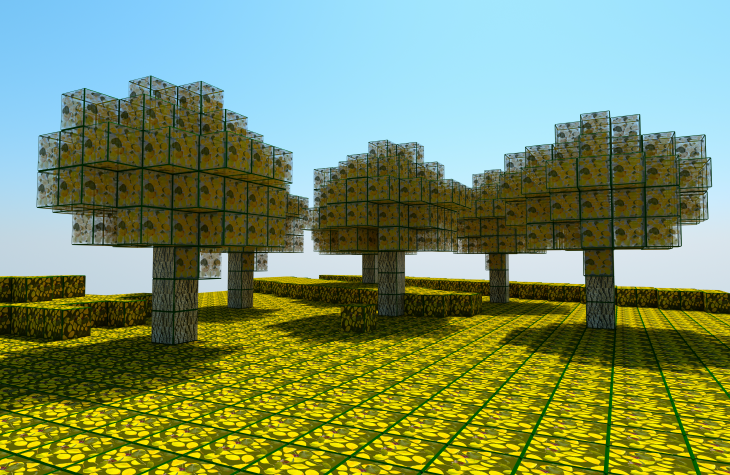 The player can also hide in 2 block structures, as the Endermen are too tall to fit. Endermen are the only resource for obtaining Ender Pearls, which are needed to create Eyes of Ender that are needed to reach The End. Ender Pearls can also be used for trading purposes. Wolf: Wolves are tamable mobs that spawn in forest and taiga biomes. Depending on how the player interacts with the wolves, they will either be wild, hostile, or tamed. Tamed wolves can be bred by feeding them pork chops, raw beef, steak, chicken, or rotten flesh. Tamed wolves (dogs) will follow the player and attack whatever mobs the player attacks. Zombie Pigmen: Zombie pigmen spawn in the Nether or near nether portals in the Overworld. Pigs struck by lightning turn into zombie pigmen. Zombie pigmen are neutral unless attacked. If one pigmen is attacked, all of the pigmen will attack. You can trade swords with the zombie pigmen, giving them a better sword in exchange for their gold one. You can also equip a zombie pigman with armor, although it is not advisable to attack after doing so, as they will attach with greater damage and have better defenses. When provoked, zombie pigmen increase their speed and will attack only the player. They do not chase or attack villagers or try to break down doors. Zombie pigmen are immune to fire. When attacked, all of the zombie pigmen within a 32 block radius will charge, therefore it is advisable to pick off zombie pigmen at a distance with a bow and arrow. On Halloween, zombie pigmen have a chance to spawn with a pumpkin or jack ‘o’ lantern on their heads. There are three types of mobs that can be tamed. Wolf: To tame a wolf, feed it bones. Up to 12 bones will successfully tame a wolf. Once it’s tamed, it will get a red collar and sit down. The player can tame an unlimited amount of wolves. Ocelot: To tame an ocelot into a cat, feed it raw fish. Approach stealthily and hold the raw fish out. Let the ocelot approach you and do not look at it directly, otherwise it will flee. Give the ocelot at least a 7x7 block area so that it does not feel trapped. It typically takes 2-5 fish before it will become tame, but it could take up to 20 fish before it is tamed. Once the ocelot is tamed, it will change into either a ginger, Siamese, or tuxedo cat. Horse: Horses, donkeys, and mules are tamable. Foals, skeleton horses, and zombie horses are not tamable. To tame a horse, approach the horse and right-click to mount it. After being thrown off, continue to mount the horse until it gives off heart animations. Then place a saddle on the horse. You can also reduce the time it takes to tame the horse by feeding it sugar, wheat, apples, golden carrots, bread, golden apple, or a hay bale. Once your horse it tamed, it can be directed with the controls and mouse, but the horse needs to be saddled. Hostile mobs will attack the player. Blaze: Blazes are flying mobs that shoot fire charges and are found in The Nether. When fighting blazes, it’s useful to use fishing rods to reel them in and attack. Fire resistance, such as the golden apple, is helpful. Snowballs are useful to kill blazes. Cave Spider: Cave spiders spawn in abandoned mineshafts and are smaller and more dangerous than regular spiders. Cave spiders are poisonous. Bright light turns them neutral. Destroying spawners is the safest way to get rid of cave spiders. Flint and steel are useful for attacking spiders and burning cobwebs. Water can get rid of cobwebs and lava can suppress spawners from spawning and will take care of spiders. TNT can blow up the spawner and kill most of the spiders. Creeper: Creepers spawn and night and attack the player by approaching the player and exploding. Creepers do not catch fire during the daytime and will continue to wander around until killed or despawned. Creepers will not spawn in well-lit areas and creating barriers, such as glass, fences, or rails will keep creepers out. Ocelots and cats frighten creepers, causing the creepers to flee. Ocelots and cats make a great defense against creepers. Creepers provide gunpowder, which can be used to create TNT, fire charges, splash potions, firework stars, and firework rockets. If killed by a skeleton, creepers will drop music discs. The best way to attack a creeper is by using a bow and arrow. Melee attacks can be used on swimming or wading creepers or a sword enchanted with knockback. Ghast: Ghasts are squid-like ghosts that float and shoot fireballs. Ghasts have a large attack range. Ghasts do not pursue the player, but will fire at the player within 16 blocks. Bow and arrows are an effective attack for deflecting the ghast’s fireball. A fishing rod can reel in the ghast and then the ghast can be attacked with melee weapons or swords. Magma Cube: Magma cubes are found in The Nether. They jump, cannot burn, and are unaffected by lava. Magma cubes provide a great deal of experience and can drop magma cream to make potions of fire resistance. Large magma cubes split into small cubes, which split into mini cubes, making the magma cube difficult to fight. Bows are best for the large magma cubes, while swords can be used to defeat the small and mini magma cubes. Silverfish: Silverfish are bug-like mobs found in monster eggs. There are stone, cobblestone, and stone brick monster eggs and once these are mined, the silverfish pop up and attack. Silverfish cause damage when touching the player and there is movement on the Y-axis, whether it is the player or the silverfish that moves doesn’t matter. Confined spaces with a silverfish can cause considerable damage as the player makes a little hop when damaged, thus hopping into the silverfish and causing more damage. Silverfish that have been attacked can summon other silverfish, creating a large swarm. To attack the silverfish, stand on top of a 2-block pillar and pour a bucket of lava or gravel on them. Skeleton: Skeletons are armed with bows and arrows and will shoot at the player and mobs that attack it. Skeletons spawn in dark places and burn in daylight. Skeletons drop arrows or bones, which can be used to create bone meal. If killed by the player, the skeleton may drop a bow, although this occurs rarely. When a skeleton kills a creeper with an arrow, the creeper will drop a music disc. Skeletons will pursue the player through mazes, stairs, and other obstacles unless the player is outside of a 16-block radius. The skeleton will begin shooting with its bow and arrow when the player is within a 10-block radius. Bow and arrows are the best weapon to use against skeletons. Melee weapons can be used. Skeletons shoot arrows faster the closer the player is to it. Skeletons are susceptible to daylight, lava, fire, and cacti. Skeletons can be avoided by sleeping at night since they only spawn when the player is awake at night. On Halloween, skeletons have a chance to spawn with a pumpkin or jack ‘o’ lantern on its head. Slime: Slimes spawn deep underground or in swamp biomes at night. Slimes can see the player through solid blocks and will give chase by hopping. Slimes that are bigger than 1 block, once it is killed it will spawn 2-4 new slimes. Slimes that are 1 block, it will drop 0-2 slimes. Slimes are susceptible to burning, falling, suffocating, drowning, attacks, and other ways. Small slimes drop slimeballs, which are used as an ingredient to create sticky pistons. Slimeballs can be used with blaze powder to make magma cream to create fire resistance potions. Slimeballs can also be used to create a lead. Slimes are good for gathering experience. Spider: Spiders spawn in light levels of 7 or less. They attack the player in the dark and are neutral in lighted areas. They can jump, climb walls, and enter spaces at least 2 blocks tall. When killed, spiders drop string, which can be used to create fishing rods, bows, or white wool. When the spider is killed by the player, it will drop spider eyes. A spider that spawns with a skeleton riding its back is called the spider jockey. This is an extremely dangerous mob as the spider is fast and can crawl up walls while the skeleton shoots arrows. Spiders are not poisonous and are not affected by splash potions of poison. Wearing armor is recommended while fighting spiders. The bow and arrow is the best bet. Shoot at the spiders farthest from you to avoid a pack of spiders attacking you all at once. When fighting a spider with a sword, wait for it to pounce and then attack with your sword. Spiders are susceptible to fire, falling, lava, and cacti. It is advised to sleep at night to reduce spiders from spawning. Spider Jockey: Spider jockeys are spiders ridden by skeletons. Spider jockeys are extremely dangerous in that the skeleton will fire arrows at the player with the speed and wall-climbing ability of the spider. The player must kills both creatures as they take damage separately from one another. If one is killed, the other will continue to attack. When killed the spider jockey will drop either spider eyes, string, bones, arrows, bows, enchanted bows, or possibly armor worn by the skeleton. It’s recommended to retreat from spider jockeys as they are deadly. The player will need armor and fighting with a bow and arrow is the best method. Killing the skeleton first is the best tactic and then finishing off the spider. Witch: Witches spawn in witch huts. Witches use several splash potions of poison, weakness, harming, and slowness. They are mostly impervious to splash potions of poison and instant damage. Bow and arrows are the best method to dispatch witches. Once killed, witches can drop a variety of items, such as glass bottles, glowstone dust, gunpowder, redstone, spider eyes, sticks, and sugar. Wither Skeleton: Wither skeletons spawn in the nether fortresses. Wither skeletons use stone swords. When the player is attacked, the wither skeleton produces a wither effect on the player that darkens the health bar and causes further damage. Iron golums are useful against several wither skeletons. To attack, move backwards while attacking to avoid taking damage. Once killed, wither skeletons may drop coal, bones, their skull, or their sword. Zombie: Zombies spawn in the dark or dimly lit areas. Zombies move slowly and catch fire in the daylight. Zombies spawn other zombies, thus multiplying into large groups rapidly. Using iron or diamond swords to kill the zombie quickly is advised. Penning up zombies in order to farm them for items and experience is another option. Zombies can drop rotten flesh, iron ingots, carrot, potatoes, swords, shovels, or armor. Zombie Villager: Zombie villagers may spawn or they may be created when zombies attack villagers. Zombie villagers should be attacked as you would other zombies. Zombie villagers can infect other villagers. They can be cured with splash potion of Weakness, then feeding the zombie a golden apple, and waiting for the cure to take effect. Once cured, the villager resumes their former profession. Utility mobs are created by and assist the player. Snow Golem: Snow golems are created with 2 snow blocks and a pumpkin or jack ‘o’ lantern. The snow golem, if attached with a lead, will follow the player and throw snowballs at enemies. They will melt once you leave the snow biome. They are damaged by water and will drop up to 15 snowballs when killed. Their snowballs typically cause no damage to mobs except to blazes and the ender dragon. A group of snow golems can be used to defend against large groups of mobs by pushing them back with a barrage of snowballs. Iron Golem: Iron golems spawn in villages or can be created with 4 blocks of iron in a T-shape and a pumpkin or jack ‘o’ lantern. Iron golems defend and protect villagers under attack or siege. They can be healed with a splash potion of health. When put on a lead, iron golems will follow the player. Iron golems give roses to villagers as a symbol of friendship. Bosses are end game mobs with high attack and strength. When killed, they drop one-of-a-kind items not found anywhere else. Ender Dragon: The Ender Dragon spawns in The End. It is advised to destroy the Ender Crystals to prevent the dragon from healing. Equip the player with the best enchanted weapons and armor to fight the dragon. Projectiles such as snowballs, ender pearls and eggs will cause 1 point of damage. Lava and water cause no damage. Attacking the dragon’s head will deal the most damage, however, long-range weapons such as a bow and arrows are ideal. Wither: The Wither is a boss that spawns by placing soul sand in a T-shape and 3 wither skeleton skulls on the upper 3 blocks. Diamond swords are the best weapons against the Wither. Once you’ve created the Wither, run as far as you can. An army of golems is useful to push back the Wither while you attack it with your sword. Once killed, the Wither will drop 20 experience and the Nether Star. Unused mobs do not spawn naturally in the game. Giant: Giants are 12 blocks tall. Giants do not spawn naturally, but can be summoned by the player. Unless sitting, a giant only takes damage in the legs. Giants have trouble attacking the player unless the player runs into its legs. Once killed, giants drop 5 experience. WhiteClouds offers 3D-printed Minecraft buildings. You can go to Mineways to turn your building into a 3D model and upload the file to WhiteClouds. We’ll ship it to your door and you can enjoy a real-life Minecraft creation in your home.